A year ago, a struggling Atlantic City still had hope that its sagging casino business could turn around, especially with the news that United Airlines would be offering direct flights from its hubs in Chicago and Houston. But then one-third of the casinos closed — and even Donald Trump wanted nothing to do with the seaside town that he helped bring back to prominence 30 years ago — and now United Airlines is pulling up stakes after only eight months of service. United service to Atlantic City International launched last April and both the airline and the folks in New Jersey made a big deal of it, as the closest thing to major airline serving the airport is the much-maligned Spirit. But the airline tells the Philadelphia Inquirer that the route was no longer worth operating. Atlantic City had previously been served by AirTran (now part of Southwest) but that ended in 2012. The airport recently underwent renovations and tourism agencies in the area spent $1 million marketing the arrival of United. Now the nearest major airports to Atlantic City are in Philadelphia and Newark. 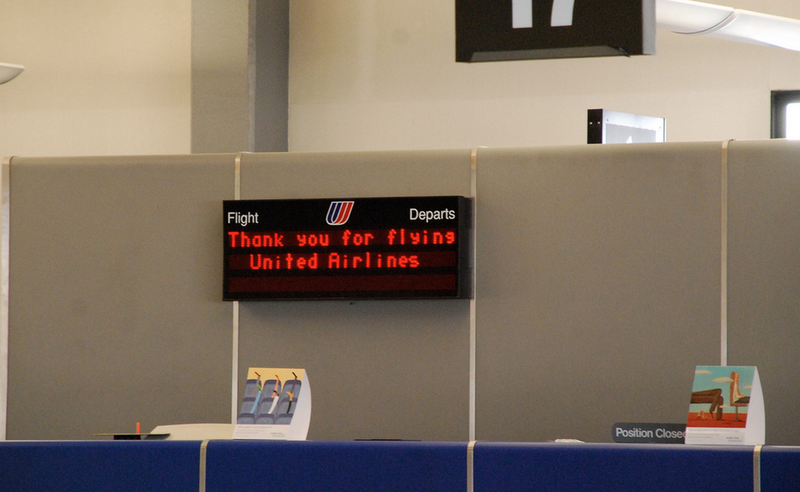 Will United Refund Tickets On Soon To Be Suspended Flights To Venezuela? Previous Kentucky Bar Selling Rare Bourbon In $10 Jell-O Shots Because Why Not? Next Popeyes Or Popeye’s? JCPenney Or J.C. Penney? Do You Know The Proper Names Of These Companies? Next Up: Popeyes Or Popeye’s? JCPenney Or J.C. Penney? Do You Know The Proper Names Of These Companies?